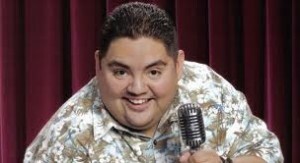 Posted on March 26, 2012 at 10:56:58 am by Renee M.
Gabriel Iglesias has been described as unbelievably witty, electrifying and as a talented performer who has the ability to consistently deliver a uniquely hilarious comedy experience –from start to finish. His high-octane show is a sure-fire hit: a mixture of storytelling, parodies, characters and sound effects that bring all his personal experiences to life. Gabriel’s clean and animated comedy style has earned national crossover appeal, making him popular among fans of all ages. Enjoy Gabriel’s show on April 22, 2012 at 7 pm. Gabriel’s performance paired with the charm and elegance of the Historic Embassy Theatre will be a perfect match for a night on the town or a fun-filled family evening. Grab a bite to eat at one of our local downtown eateries before the show. Want to make a weekend of it? Look at our Calendar of Events for additional entertainment options for that weekend. And, check out our hotel packages! And, you can register to win a set of tickets to see Iglesias in person! Simply click here to register to win!